The secret to achieving success with change is to focus all of your energy, not to fighting the old, but building the new; and this is exactly what CES has been doing from day one. Cutting Edge Spine, a technology-driven spinal device company focused on the development and distribution of highly differentiated spinal implant technologies, announced today the appointment of Luke Maher as Director U.S. Sales. Luke Maher brings 15 years of spinal device industry experience to directing Cutting Edge Spine’s national sales force, including 12+ years at Medtronic Spine and Biologics and Globus Medical. Most recently, he served as Regional Sales Manager of the MidWest for Centinel Spine of Westchester, Pennsylvania. His main objective will be to inform agents and surgeons about CES’ commitment to long term success as CES expands its distribution efforts nationwide in addition to offering the broadest platform of novel inter body solutions in the entire world within the next six months. Luke Maher joins the CES team at an inflection point in the company’s lifecycle. In joining the team Luke Maher values CES’s drive for technological excellence to provide improved patient outcomes. Cutting Edge Spine will be exhibiting at the North American Spine Society (NASS) in Orlando, Florida October 25 – 28, 2017 in Booth #331. 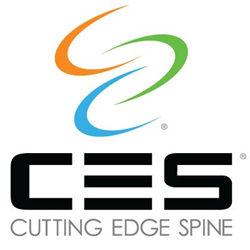 Founded in 2009, Cutting Edge Spine (CES) is a privately-owned spine organization headquartered in Waxhaw, North Carolina. The company was built on the conviction that hospitals, payers, and patients deserve more value for their money. CES is future ready, developing and marketing highly differentiated implant systems that meet the clinical and economic demands of today’s marketplace. CES’ testimony to its commitment to its founding principles is the development of the EVOS-HA, a revolutionary lumbar interbody system that combines two proven biomaterials, PEEK-OPTIMA and Hydroxyapatite, to enhance fusion. The company possesses 3 FDA approved proprietary technologies. For more information, please visit http://www.CuttingEdgeSpine.com.